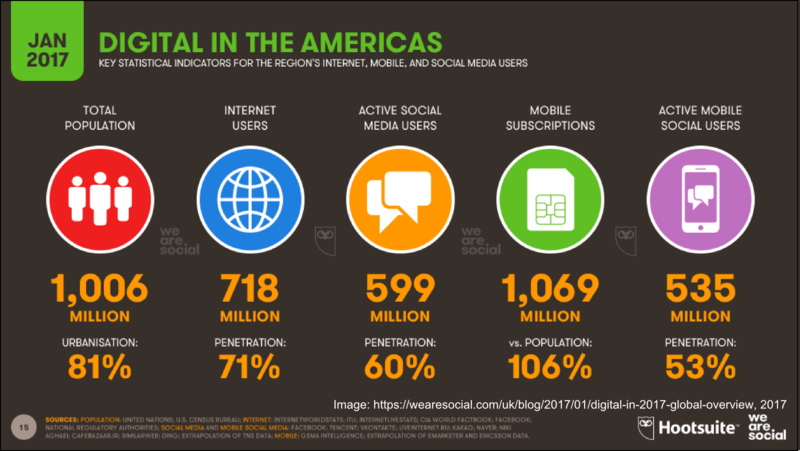 A global digital survey published in January suggests that there are now more mobile subscriptions in the Americas than their resident populations. While these statistics are compelling, they disguise who engages with digital technologies (clearly some of us have multiple mobile subscriptions) and the ways we engage with those technologies. What is clear is that no region in the world is ‘fully’ digital, and that within the digital world, we have ‘unevenness’. 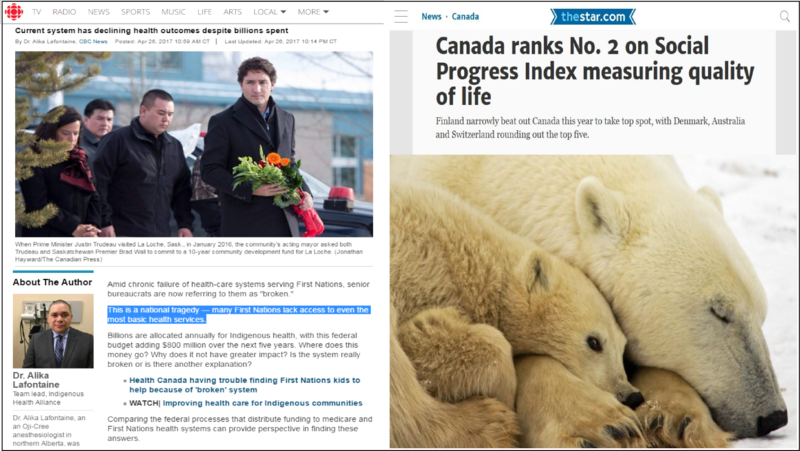 In its Social Progress Index for 2016, the Social Progress Network (that consists of “partner organizations in business, government and civil society that use the Social Progress Index to improve human wellbeing”), ranks Canada very highly on three criteria, namely, basic human needs, the foundations of wellbeing and opportunity. 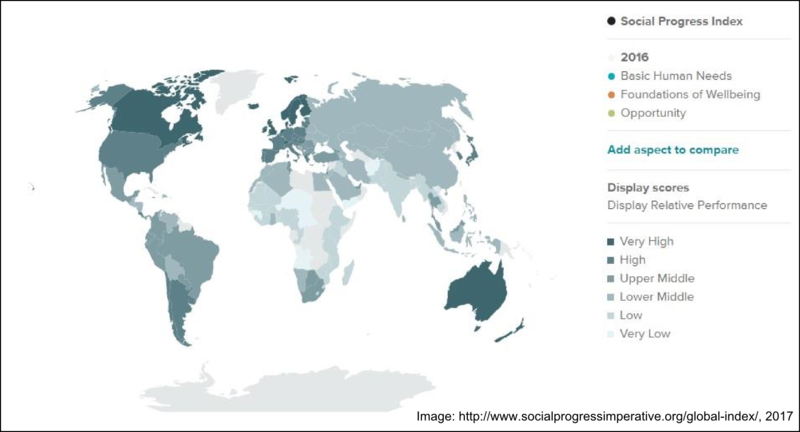 The Social Progress Network places Canada in the top five in its global survey of three social criteria, namely, basic human needs, foundations of wellbeing and opportunity. That the Toronto Star, Canada’s most read daily newspaper, covered this story reflects our accepted national narrative. We are proud of our high standard of living and opportunities for social progress. We should be. So what? As recently as April 2017, Dr Alika Lafontaine, Team lead for the Indigenous Health Alliance remarked that "many First Nations lack access to even the most basic health services”. How do we make sense of these apparently diametrically opposed situations? How do we begin to address ‘unevenness’ in our society? In this post, I (Neha Gupta) want to share some of the motivations that Katherine Cook and I have for organizing the session, “Digital Futures: Methods and Theory in Canadian archaeology”. I draw from one observation: that until recently, Euro-Canadian archaeologists focused on the accumulation and management of cultural heritage of Indigenous peoples in Canada. While informative, these practices often discouraged descendent communities from ownership of archaeology, preventing them from generating knowledge about their ancestors. Growing social awareness in Canadian society and middle-class values of equality and justice have encouraged Canadian archaeologists to begin addressing these problematic practices through research collaboration with members of Indigenous communities. Greater efforts are now made to engage Indigenous people with themes that of interest to them in terms of archaeological research as well as in the preservation of cultural heritage. At a moment when the very nature of research and communication is rapidly changing, we argue that digital tools and technologies can build on and deepen relationships between archaeologists and Indigenous communities. Open digital methods that are premised on laying bare how digital data and tools are encoded enable us to re-use, and re-make them in meaningful ways that are appropriate for archaeology. These methods in turn, can deepen our understanding of past human societies, challenging colonial views of the past. To begin addressing issues in the ownership of the past, we argue that simply making archaeological data ‘digital’ and placing them in databases or even Web-based repositories do not make them accessible. Rather we as educators recognize that to truly democratize archaeology, we must equip learners with the skills, abilities and theoretical perspectives that enable critical thinking with, and about data (Graham et al, 2017). Indigenous youth require access to digital cultural heritage, but equally important are opportunities for them to further develop Canadian archaeology and enlarge the digital future. With this preliminary CAA session, we want to encourage meaningful conversations with Indigenous groups on the practice of Canadian archaeology. I hope you will join us!